While there are a myriad of injuries that can be suffered in an auto accident, some are much more common or serious than others. Auto accidents are a part of modern society. Most people drive 12-15,000 miles per year, and that’s a lot of opportunity to be involved in an accident. When an accident involves both speed and a 3,000+ lb vehicle, there is always the potential for serious injuries to occur. Brain injuries: The brain is well protected within the skull but the brain is also very fragile and has a very limited ability to heal. Concussions and bleeding within the brain are both serious injuries. Even a mild car accident can result in permanent loss of brain function. Serious brain injuries can result in death. Limb injuries: Arm and leg fractures are quite common in automobile accidents. The loss of a limb is another type of limb injury. All limb injuries have the potential to limit your ability to work. Expensive physical therapy is common component of treatment plans for this type of injury. Whiplash or other neck injuries: Whiplash injuries are limited to the soft tissues of the neck; the bones of the neck are not affected. Whiplash results in damage or strain to the muscles, tendons, or ligaments of the neck. You’ll most commonly find this type of injury when your car is struck from the rear. Message therapy, a neck brace, and additional treatment are usually prescribed. The bones of the neck can also be injured in automobile accidents. Though this is less common, these injuries can be especially severe. Back injuries: Back injuries can be especially painful and slow to heal. The ability to work can be severely compromised. The most common injuries are back sprains or strains. A herniated disk and fractured vertebrae are also possible. Psychological injuries: It’s not unusual to see post-traumatic stress disorders in those involved in car accidents. Psychotherapy and even pharmaceutical treatment are common. This can also be the result of disfiguring injuries. Facial scarring: Facial scars can be traumatic for a lifetime. Not only does the injured have to deal with the pain and treatment of the injury, but there is also the psychological trauma of the facial scarring that commonly results. Cuts, burns, fractures, damaged teeth, and damage to the eyes and nose are all common. When disfigurement occurs, the emotional trauma can be significant. It can limit your ability to enjoy your social life or other activities. There can be compensation available for this type of emotional pain. 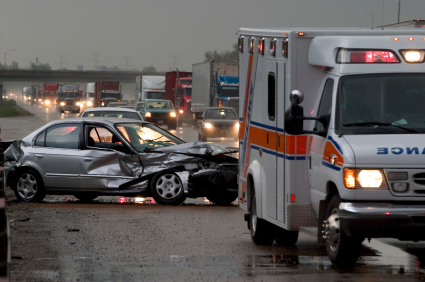 Car accidents that result in significant injury are quite common in our society. If you or a loved one have been injured in an automobile accident, contact a personal injury lawyer to have your options explained to you. You may be able to receive compensation for your losses as a result of your injuries.